It’s the end of March and you know what that means (just kidding, pretty sure if you do know, you’re definitely in the minority)… EMERALD CITY COMICON! A group of my friends and I managed to take some time off and bus to Seattle again for the con. We were very tactical with the whole thing. 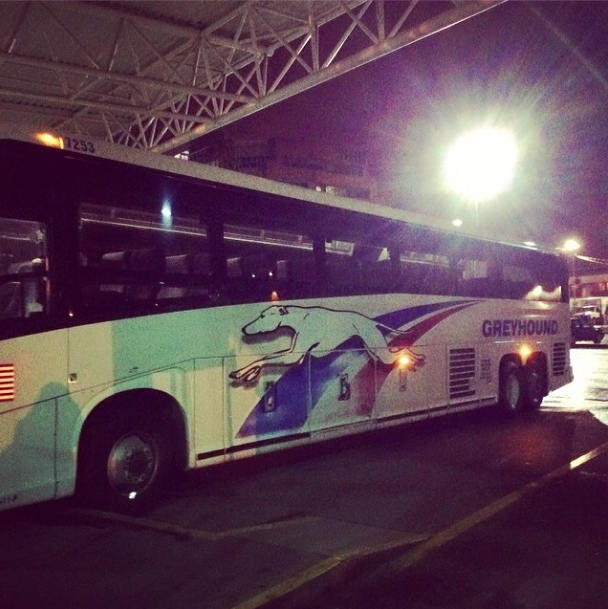 We stayed over at one person’s house so we could taxi off to the Greyhound station early Saturday morning. We had to wake up at 4:30AM in order to get dressed, and get to Pacific Central at 5:30. I think that was possibly the earliest I’ve woken up for something before. Anyway, the plan was for M, Mal, and I to bus down to Seattle first and be at the convention for both Saturday and Sunday, while our other friends with the car would drive down on Sunday and take us home with them. My friend M was actually sick during the trip, so it was a little worrying for me and Mal. But overall, it was so much fun! It was quite different from last year because although there wasn’t a main celebrity that was on my bucket list of people I wanted to meet (unlike Misha Collins last year), I did meet a few celebrities that I respected a lot! The first day was a hectic rush to get to the actual convention centre. We got off the bus, ran to the hotel, then took a taxi to the centre. A wave of nostalgia rushed through me when I walked through the front doors and saw the three sets of escalators that took all the guests to the main event floor. 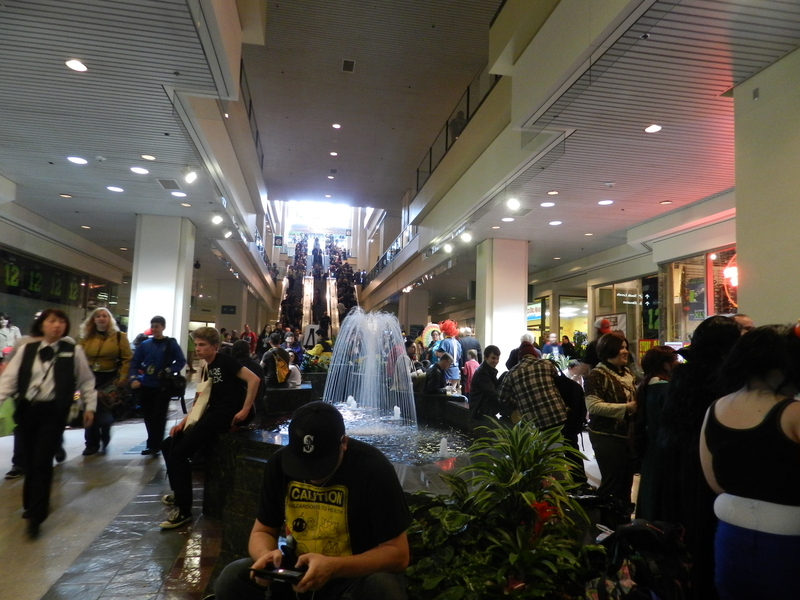 A banner read “Welcome to Emerald City Comicon” and I almost wanted to cry. I had such a great experience last year (albeit some issues with the line ups and such) that I didn’t realize how much I missed it. I dressed up as Castiel from Supernatural again on the first day, except a different version of the trench coat. I am actually so happy that my mom likes making these things. The day was spent buying arts, tshirts, and geeked out assorted goodies. We watched Mark Sheppard’s panel (from Supernatural), and Osric Chau (also from the show) showed up to ask Mark a question. We later caught up with him to have a chat and take photos with him. 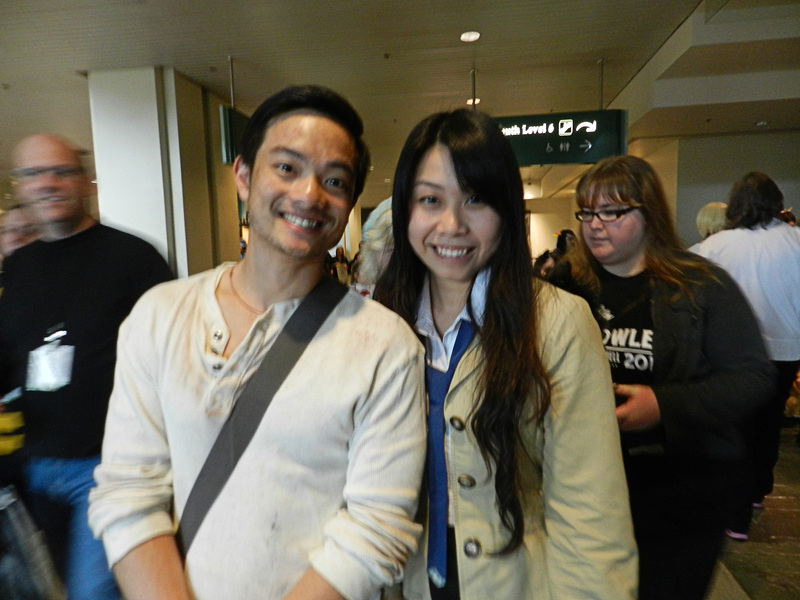 Osric is honestly such a nice guy, and despite being tired, he was very accommodating to the fans! The convention had told him he would have to keep moving or else he’d cause a traffic jam, and he kept his word, but allowed fans to take selfies with him while walking. We spent some time helping him located a vendor who would sell a machete so that he could complete his cosplay (Glenn from The Walking Dead), but upon not being able to find one, he ripped one out of cardboard. Osric Chau cosplaying as Glenn! Unlike last year, it felt like I had a lot less time to shop around in the artist alleys and vendors. I suppose having more friends with you will slow everyone down a bit, but at the same time, having more people was so much fun! It was a different experience. At night, we wanted to eat at the Cheesecake Factory across the street from the convention centre. Upon entering the crowded restaurant, we asked how long we’d have to wait for a table for three. The wait was 1 1/2 hours. We left. Instead, we opted for subs at Jimmy John’s. We tried sleeping earlier that night, and Mal did a great job of that. But M and I were not used to sleeping till around 4AM, so it was hard. I ended up sleeping at one, which was pretty good in my books. And that was day one. 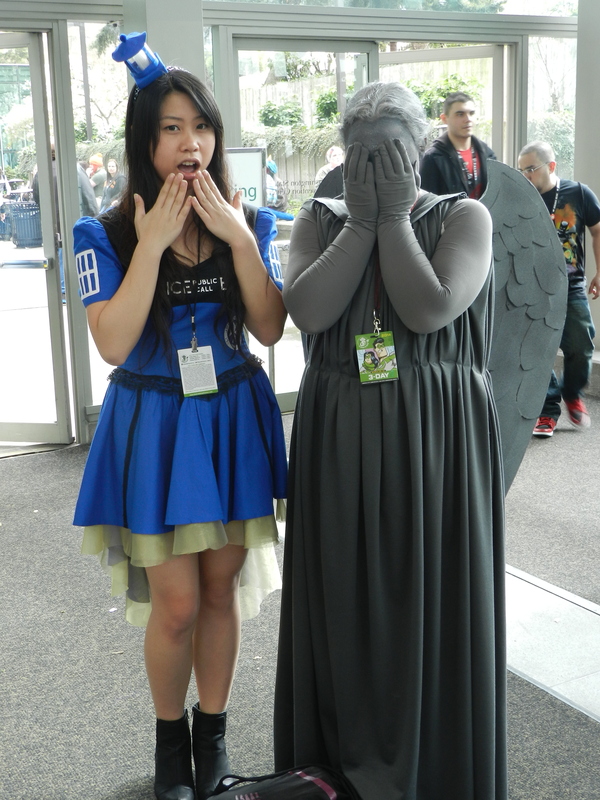 I wore my Tardis cosplay today, mostly because I wanted to wear it for a picture with Karen Gillan! Amy Pond was probably my favourite companion since I had started with her. As a group, we did wander the convention floor, but since the day was only till 5PM and we got to the convention at around 11:30AM, the day was short. We had two panels we had to see (Mark Sheppard and Jim Beaver + Karen Gillan) and we had to go to the hall early to get seats. I still had a lot of things I wanted to buy, but didn’t manage to make it because of how tight schedule was. That was one of the biggest things that struck me this year. With six people travelling together for day 2, time evaporated. 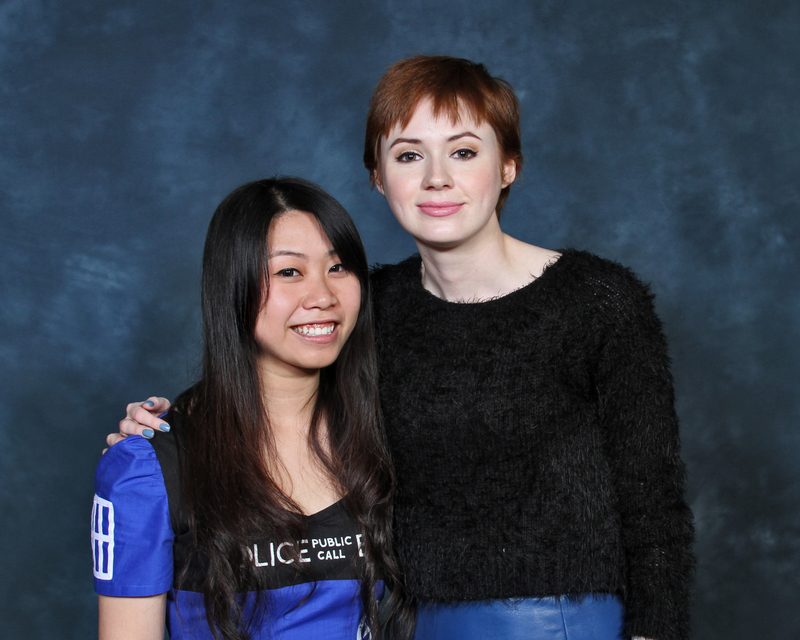 However, I still got to take a picture with Karen. Actually, basically right before our turn, she had to take a quick break so her smile could relax and she could take a sip of water. F and I stared at her for a good five minutes since we had entered an area that we could actually see her, unlike most of the people still in line. Fangirl. The drive home was…interesting. We stopped by a Jack in the Box for dinner (we felt so american with our burgers that had a ridiculous amount of cheese and meat) and proceeded across the border. That’s when things started to get a little messy due to us getting a little lost. But in the end, we made it out okay! In the car, we were already making plans for next year! I can’t wait! I’ll follow up this personal post with a shorter, snappier review of the convention (maybe to convince everyone to go?)! I saw the Valve Store set up at the convention and literally ran straight at them. I want your life of video games and playing dress up. I can do without the studying though.